Few ingredients, a couple of minutes of cooking and you will throw a walnut party of your dream. 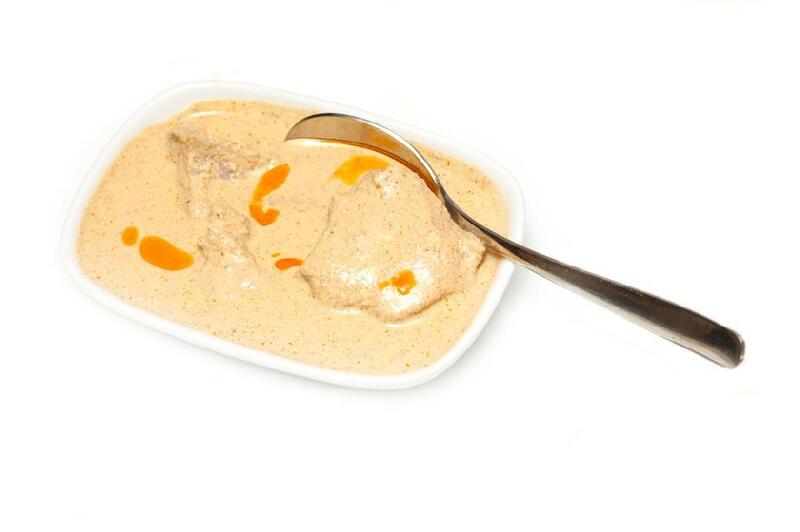 Megrelian kitchen has created Bazhé sauce, as an everyday substitute to Satsivi dish. It’s usually consumed with Ghomi, chicken and fish. Bazhé is made out of 500ml boiled water, 250g of walnuts, 2 cloves of garlic, Khmeli Suneli, coriander, Georgian saffron, red pepper and salt. Mince the walnut and garlic in a chopper and repeat it twice or better three times. Add all the dry ingredients and knead in a way to squeeze some oil out (this golden treasure needs to be poured on it later, as a symbol of triumph). Then add water to thin the mixture down to your preferred consistency. You can also mix the ingredients up with chicken bouillon instead of water, which gives more calories and nutrition qualities to the sauce.